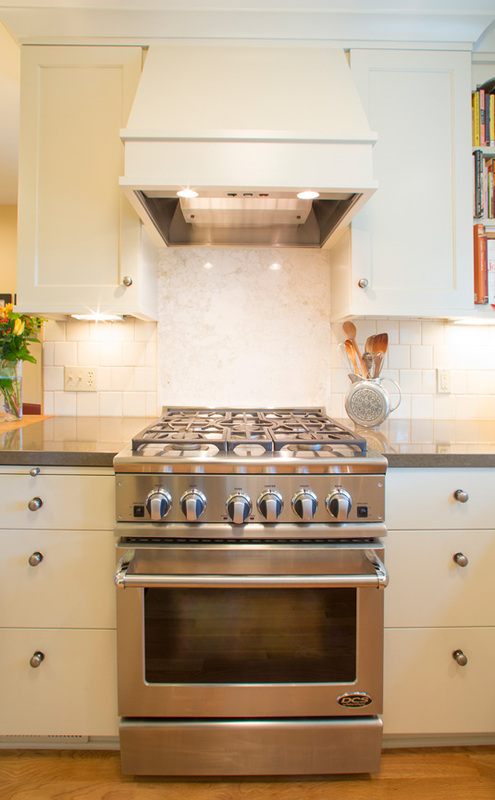 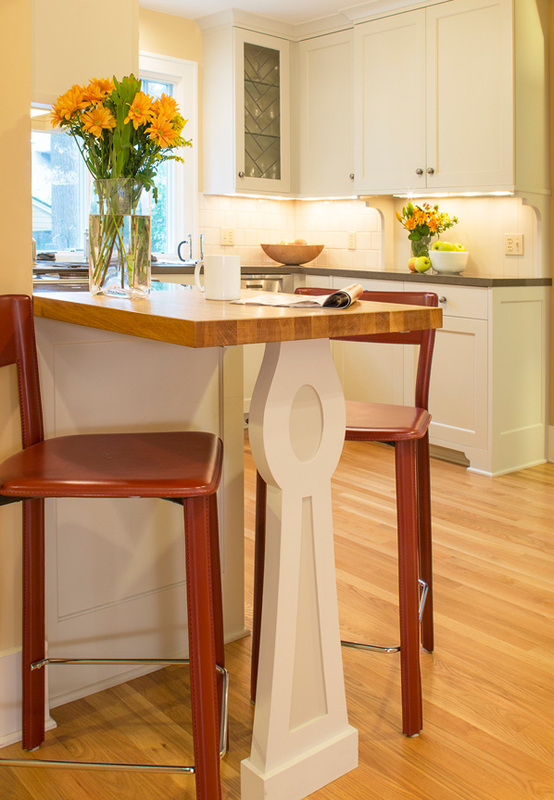 My clients wanted to be respectful of this 100-year-old four square home but to also add some modern touches as well. 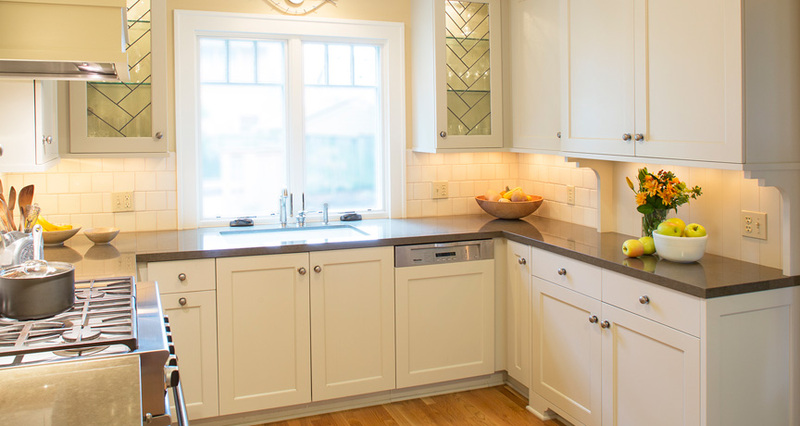 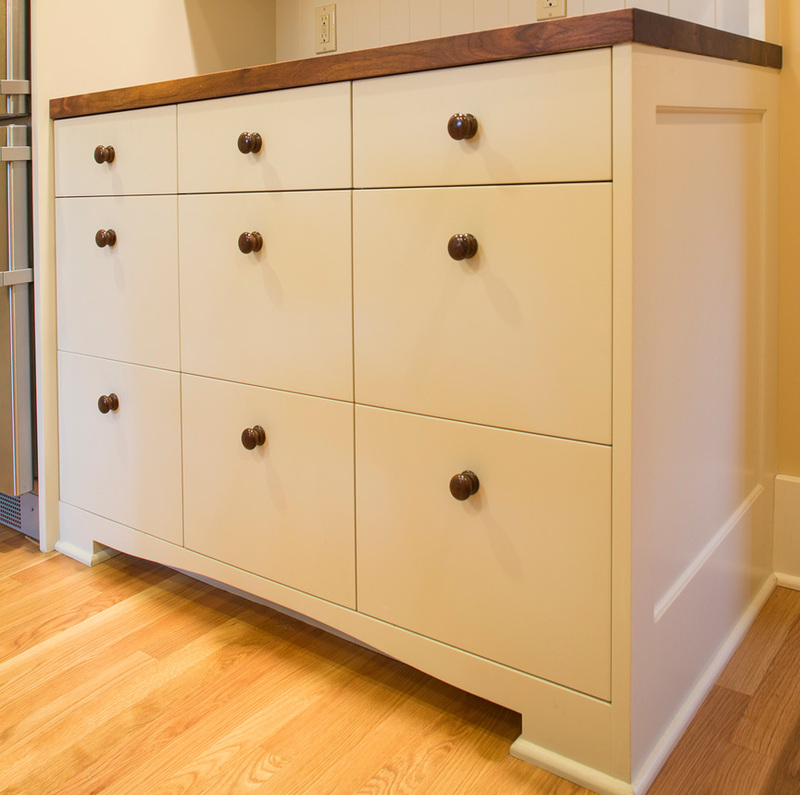 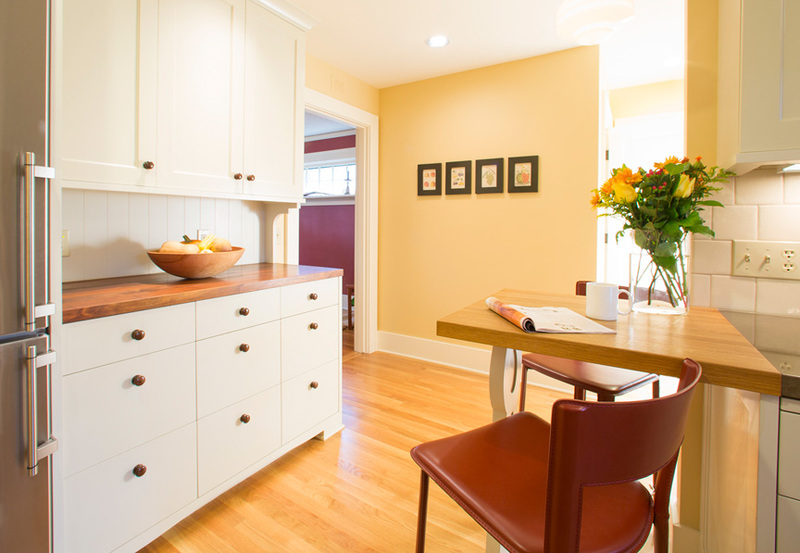 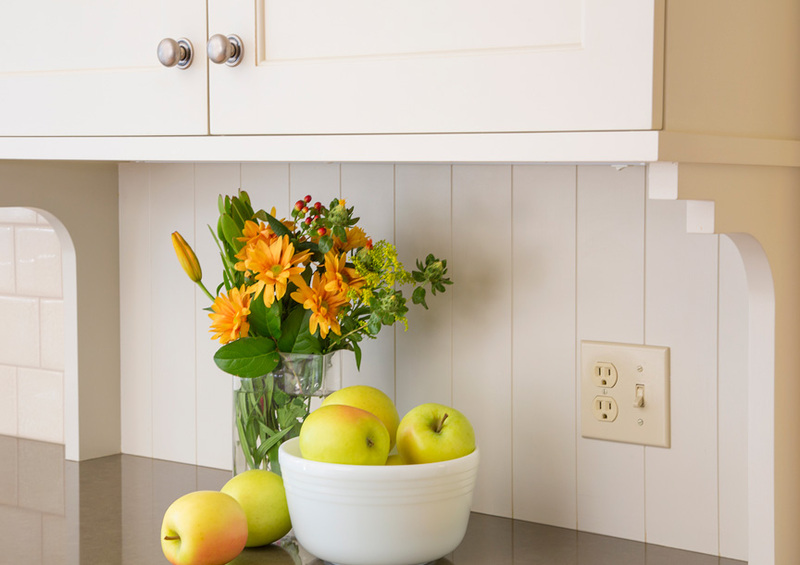 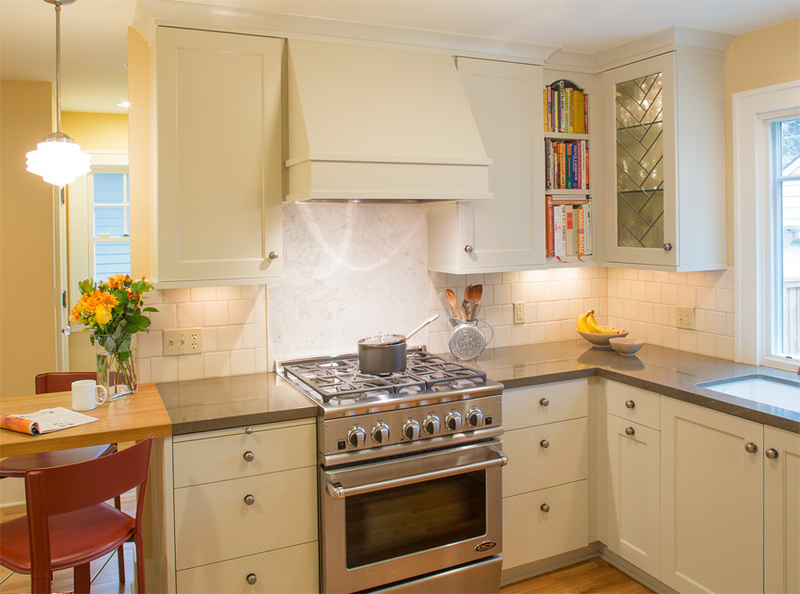 We completely gutted the kitchen and powder room spaces and added new hardwood floors, new windows, and custom, painted cabinetry with clever details. 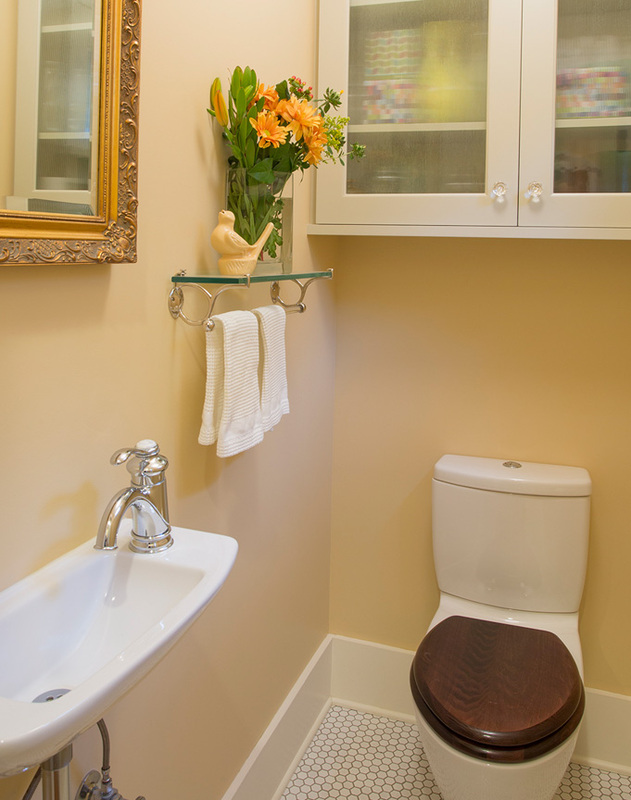 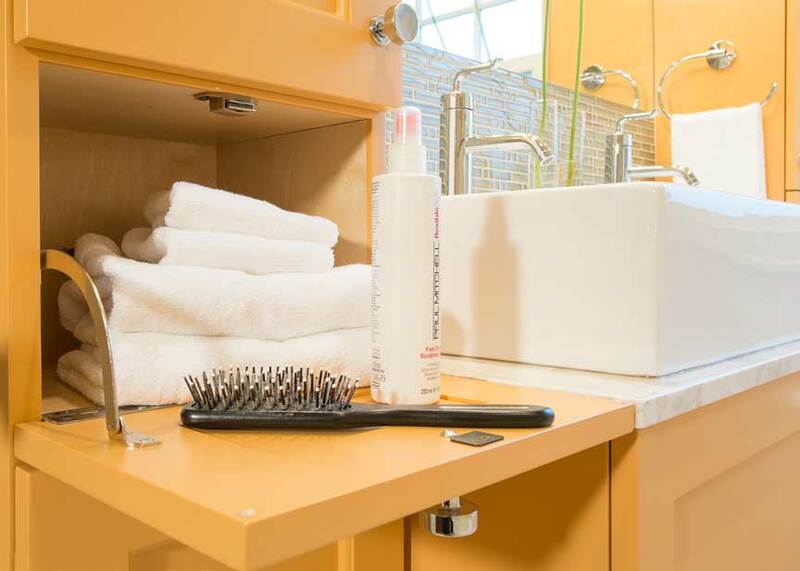 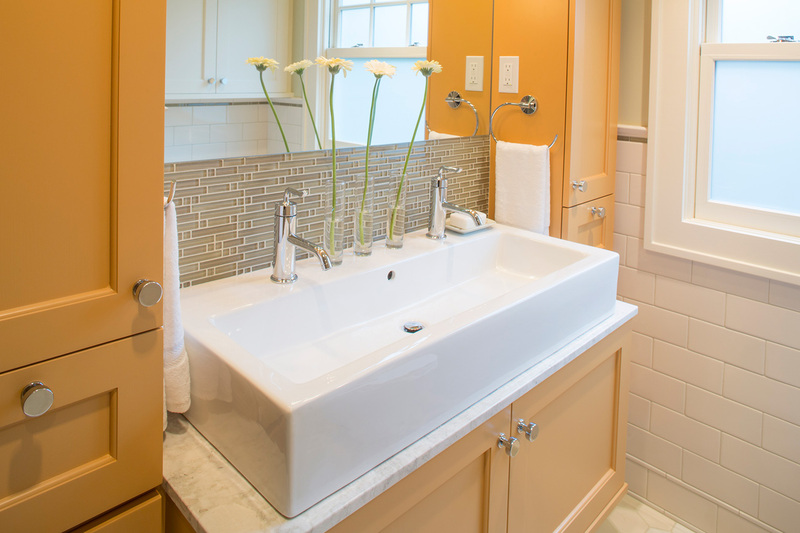 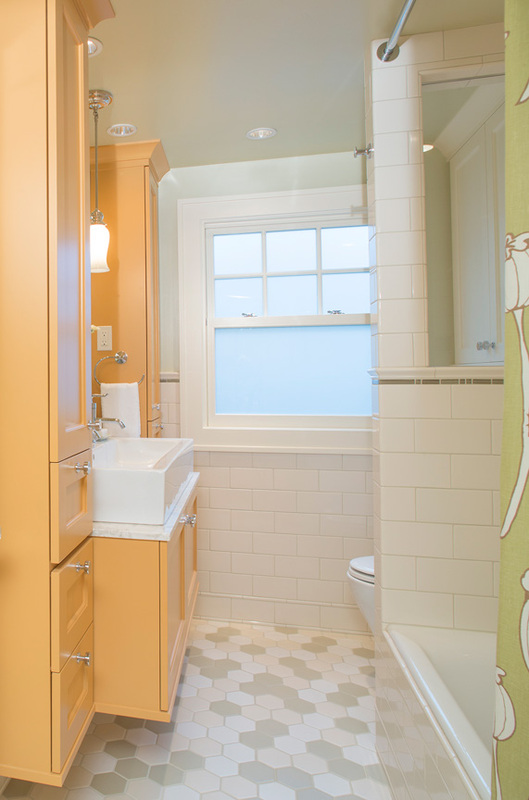 The upstairs bathroom was reconfigured to allow for more storage and has lovely heated floors and extensive tile work.